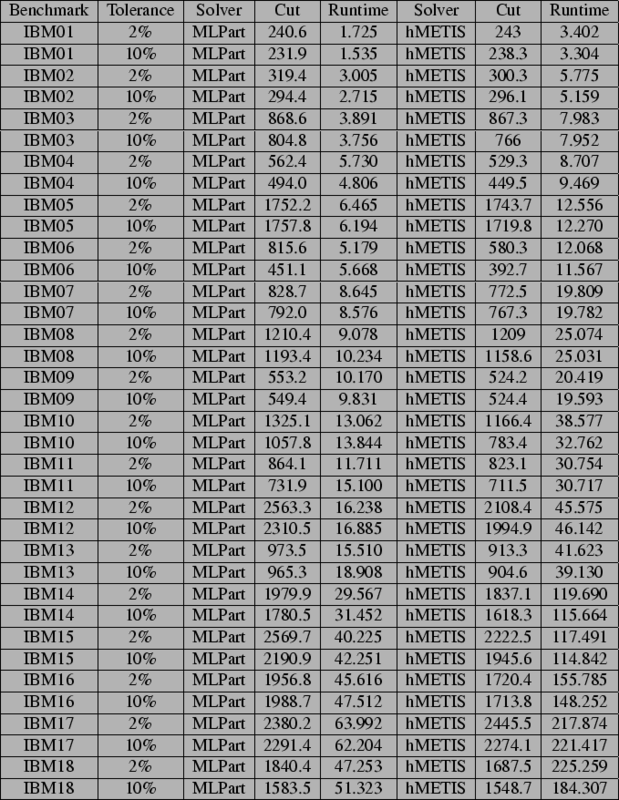 Figure 3: Performance of available software tools on common circuit hypergraph partitioning benchmarks. Results are the average of 10 runs with default configuration. Runs were performed by a 2.0GHz Pentium IV Xeon workstation with 2GB of RAM running Linux.